Truth be told, I hadn’t realised that there was such thing as a pruning festival. But when the invitation appeared in my inbox, I wasn’t going to question. It was one that I couldn’t resist. 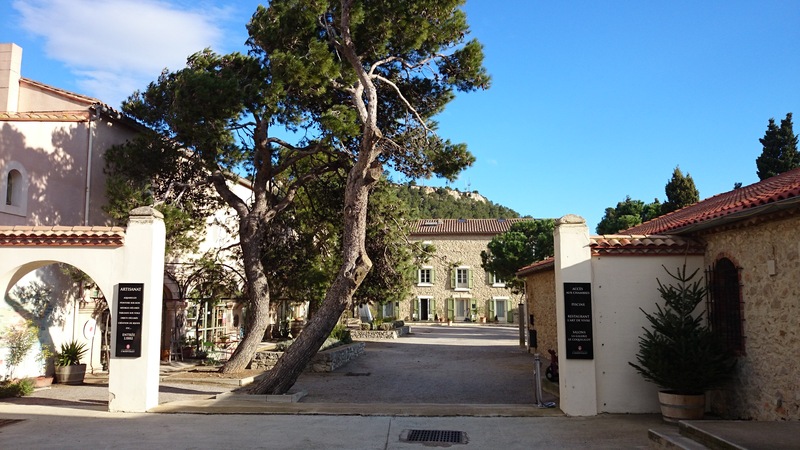 And so I found myself on a flight to Montpellier, France, in early December, set for a drive towards the La Clape appellation and, specifically, Gerard Bertrand’s Chateau l’Hospitalet near Narbonne. I had been there just a few months before. I knew the way. I knew what to expect. Except, of course, that back in August the weather was warm, even when it was raining. I hadn’t quite anticipated just how warm it wouldn’t be this time around. When I landed, it was raining. And the opposite of warm. A punishing wind was blowing from the northwest and the rain came down in sheets. I regretted not packing a warm coat. Or even a jumper. All I had was a rain shell, a fleece and a Helly Hansen baselayer. My only hope was that we wouldn’t spend much time outside. 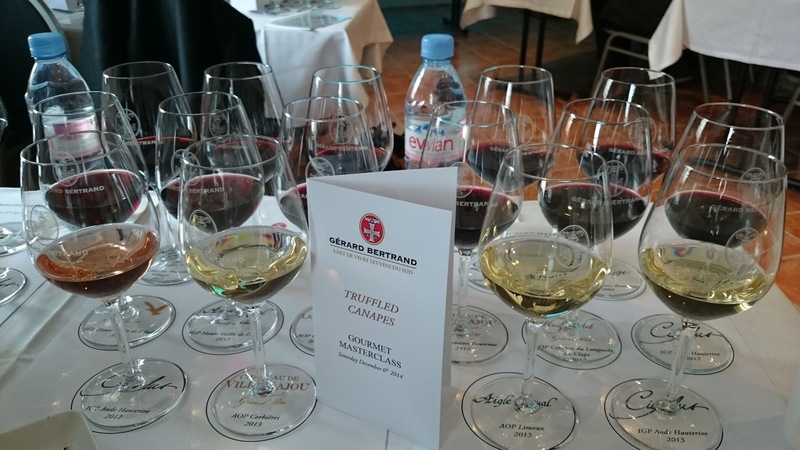 After a pleasant night of beef and wine in the Chateau l’Hospitalet restaurant and a solid sleep in my room, I woke the next morning to do what any sensible man would do prior to what was surely going to be a long day of tasting wine and gorging on food. I went for a run through the vineyards. Wearing shorts and a T-shirt. This would have been fine had it not been a) colder than a Siberian deep-freeze and b) blowing a gale that was as sharp as a Gillette razor. At 11 a.m. we had our first wine tasting and 15 glasses of wine stood before me. In another post I will list each of the wines tasted along with my notes and verdict on each one. For now I will just say that the quality level, as always, was high and all of the wines were well made and worthy of attention. Particular favourites included Cigalus, l’Hospitalet and Le Viala. I would like to say that we spent the afternoon indoors savouring these wines in the cosseting warmth of the chateau. However, our hosts felt that it would be much more memorable for us to spend as much of our day outside as possible given that the wind had picked up, the driving rain had set in and the temperature appeared to have plunged to a level I wouldn’t have expected in southern France. And this is how I found myself walking head first into a bracing wind and sideways rain, following a labradoodle through a grove of white oak trees as it sniffed around for truffles. I kid you not. Surprisingly, we the dogs did, indeed, sniff out a few truffles (the proprietor could have showed me a lump of mud and I would have nodded my approval), and we, the people merrily following those dogs, did shiver and complain about the wind within our warm coats, rain jackets, gloves and hats. All the while, the dogs’ handlers looked entirely comfortable and unbothered by the weather without the assistance of any gloves or hats or what I would have considered warm clothing for the conditions. 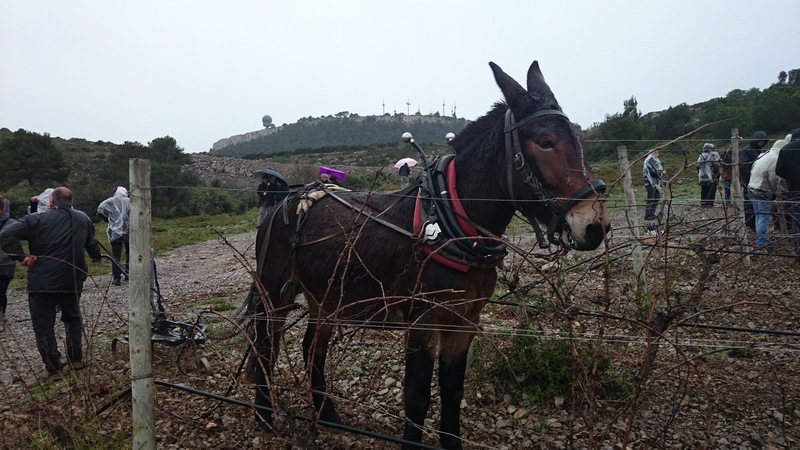 And then we saw a mule. This, as it happens, was the pruning element in Pruning Festival. And we did prune, albeit for only a few moments until our hands were too cold to squeeze the clippers. Again, the mule’s handler was ungloved and unhatted, yet unperturbed by the chill. How do they do it? At this point, our group was beginning to lose its nerve, diminishing by ones and twos as the punters gave up and headed back to the chateau. We were drawn by the warmth and the wine, and the promise of a dinner heavily laden in truffles. Next time, I’ll tell you about the wine.